After two days of product training and education, knowledge sharing, positive discussions and success stories, we are happy to conclude that PHI´s first distributor meeting was a success. 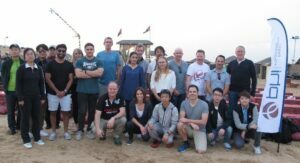 The meeting was held in Dubai November 26-27, on the topic A Change of Measure, and included everything from the introduction of new HoloMonitor development to inspiring sales strategy discussions. We are now all well prepared for the future with the focus set on future sales. CEO and Founder Peter Egelberg opened the meeting telling how the cell friendly and label free HoloMonitor technology can be used to improve pre-clinical cell- and tissue-based models. Such models have the potential to be invaluable in pre-clinical research and replace animal models not optimized to mimic the biology of human beings. PHI strives to make improved cell and tissue-based models affordable and available to all cell biologists. Other topics of the meeting included well-appreciated feedback from the distributors, and product training and education by the PHI sales- and marketing team. The recently released software HoloMonitor App Suite, has been very well received on the market with comments from users as “it saves us time and labor”, and “App Suite automatically provides accurate data”. 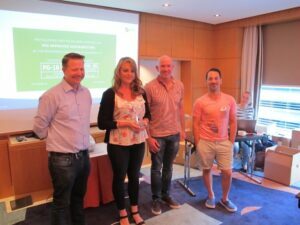 The winner of the Distributor Achievement of the year award 2018 TrendBio, Australia, was announced. Represented by Jaimie Mulders, the winner shared their HoloMonitor sales strategy, together with some tips and tricks for successful demonstrations: very appreciated by all participants! positive can-do approach and constructive feedback! We firmly believe that we are all now well prepared for the future and to write a new chapter in the HoloMonitor success story!